Subcon will be the first opportunity to see the new high speed Apache G6H6090 HS printer in action. SSE Worldwide will be exhibiting at the exhibition in Birmingham this week along with their partner Axzyra on Stand C10. “We are delighted to be working together to bring the best, cost effective industrial UV printing solutions to market and Subcon, as the premier industrial show, is the ideal place to showcase the Apache. Our experts will be on hand giving demonstrations on quality and flexibility.” said Scott Armitage, Managing Director of SSE Worldwide. Suitable for industrial printing on to plastics, metals for instrument panels, dials and components. The Apache has the ability to produce short batches and prototypes enabling samples to be printed cost effectively unlike the traditional methods of screen and pad printing. Subcon takes place on Tuesday 6 June – Thursday 8 June 2017 at the NEC, Birmingham. 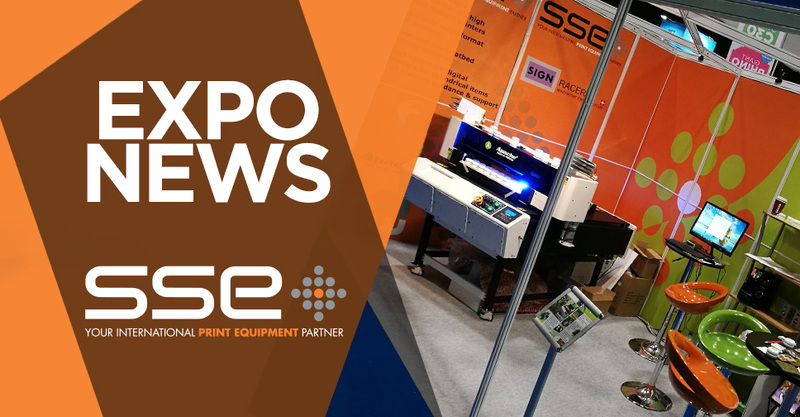 See the Apache small format UV flatbed printer in action on the SSE Worldwide Printing Equipment stand – C10. Subcon – Now in its 41st year, Subcon is the UK’s premier manufacturing supply chain show dedicated to subcontract and outsourced engineering services. This is the must attend event for subcontract manufacturing buyers from all industry sectors, to source suppliers, benchmark capabilities, and secure contracts in order to remain competitive in a global market.